Across the retail space, there’s certainly no shortage of channels to help shoppers meet their health and wellness needs. While Nielsen data shows that spend per trip by drug store consumers is up slightly, the number of trips is declining. As more retailers ramp up their health and wellness offerings, and the lines between the grocery, convenience, dollar and drug channels become more blurred, it’s tough not to wonder what role drug stores will play in an increasingly crowded wellness-oriented marketplace. Today, drug stores remain an important avenue in the consumer health care journey. We’ve seen the drug store channel make significant enhancements in recent years to better serve consumers’ increased focus on holistic health and wellness, through the addition of in-store health clinics, pharmacies, dietitians, and healthier food and snack offerings. And while the evolution of the modern drug store has been positive, there’s still much more work to be done to engage the health-conscious consumer. Today’s consumers are embracing dietary diligence and recognizing the important role that food and beverages play in creating a healthy lifestyle. According to Nielsen’s Global Health and Ingredient Sentiment Survey, 60% of Americans say they actively make dietary choices to help prevent health conditions like obesity, diabetes and high cholesterol, and the Nielsen Ailment Survey reports that 48 million households have an ailment sufferer who manages with diet. Consumers are thinking well beyond basic foods as they embrace a healthier lifestyle. And as a result, their shopping needs span beyond functional foods and medications. They’re seeking specific, healthy attributes on products that meet a range of wellness-related criteria — representing a fundamental shift in how they shop for products in the store. Beyond basic labels and packaging, today’s shoppers want to better understand the impact of the products they buy, and how they affect their overall health. So, to maximize the true health and wellness opportunity within drug channels, growing an assortment of right-priced health and wellness products is only half the battle. The other half involves identifying which product attributes resonate with drug store consumers and understanding how to leverage those key wellness attributes gaining traction in-store. According to data from Nielsen Product Insider, powered by Label Insight, within the drug store consumers are increasingly focused on simpler ingredients. Dollar sales for clean label products have grown 6.4% at drug stores in the last year, despite a decline of 5% in the number of clean label items being available. Some of the categories driving the $2.6 billion in annual clean label sales at drug store are salty snacks, nuts, coffee, candy and milk. Clean label salty snacks increased sales by $41 million, a 12.5% increase. Other categories such as new age beverages, ice cream, wholesome snacks, cookies and crackers drove a combined $54 million incremental dollar growth in just the last year. Transparent product claims are also seeing significant growth, but in many cases they are severely underrepresented in the drug store channel despite the consumer demand. Take organic products, for example: They represent 0.9% of drug store food sales, compared with 4% of total retail; however, growth over last year within drug stores (30%) is outpacing total retail growth (12%). Conversely, some claims, such as caffeine presence, are underperforming within drug stores, declining 2% in the last year, despite having a higher share of food sales at drug stores than in other retail outlets. This indicates an opportunity to replace products that have declining claims with new offerings that better align to shoppers demands. Through Nielsen Wellness Track, the drug store channel is showing a very strong presence of claims focusing on specific dietary requirements within food, compared with other outlets. Within drug stores, the strongest-selling claims include iron presence, salt or sodium presence, calorie presence, sugar presence, and low glycemic. Of these claims listed, only two saw dollar growth last year. In 2016, products with salt or sodium claims represent 11% of drug food sales and grew a very modest 0.6%. However products with low glycemic claims represented just 0.4% of sales and grew dollars 30%. With the ability to understand product claims, a focus on products with growth potential will positively contribute to the bottom line. These same opportunities exist outside of the food aisles at drug stores as well — with claims around transparency infiltrating the health care, personal care and beauty care categories. In the health care aisle of drug stores, products featuring no artificial colors or flavors grew dollars by 10%, while preservative presence also saw double-digit dollar growth success, up 10%. Transparency claims within the beauty care category have also seen tremendous growth. Cruelty-free products almost doubled dollars with 83% growth from last year, while products with no artificial color or flavors were also gaining share of the aisle with growth of 27%. With consumers increasing their focus on dieting needs and on the functional aspects of foods and nonfoods, drug stores have a clear value proposition to act on: Leverage these attributes to provide the right assortment across offerings available in-store. With this data in hand, it is clear that consumers are seeking transparency across outlets, and they are paying attention to ingredients and attributes across all categories. Putting insights into action, with additional clarity into attribute opportunities, drug store retailers should be building specific attribute strategies for front-of-store offerings. It will be important to make attribute connections throughout the store and cross-merchandise healthy brands with other healthy options to provide total health solutions to consumers. And finally, it is crucial for retailers to establish themselves as a partner in maintaining a healthy lifestyle for consumers. Offering health care services, such as pharmacies, dietitians and retail clinics is a great start. But drug stores need to create an environment for consumers that will help to make healthy choices easy — and become a resource to make healthy living habitual. In the end, drug stores that are working to redefine and shift the perception to being a “wellness store” stand a greater chance of winning over all consumers. 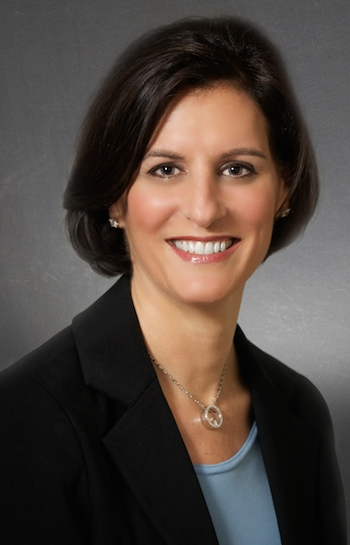 Laurie Rains is group vice president for consumer and shopper analytics at Nielsen. She can be contacted at laurie.rains@nielsen.com.